Gaming over the past few decades has grown from an occasional pastime enjoyed by few to a colossal, global phenomenon shared by millions. Much like the industry itself, the games themselves have also evolved – for better or for worse. Indeed, many will argue (and they’re not always wrong) that today’s games often lack that certain something that made older titles great. It certainly wasn’t the graphics or controls as advancements in technology give newer games the clear advantage. Was it the storytelling? The lack of DLC? Or maybe the fact that some games are still delivering roughly 15 years later? As we learned last year, some of Nintendo’s oldest and most beloved video games are still hiding secrets unbeknownst to many. The latest example involves Super Mario World, a title that anyone who owned or even played the Super NES is no doubt familiar with. 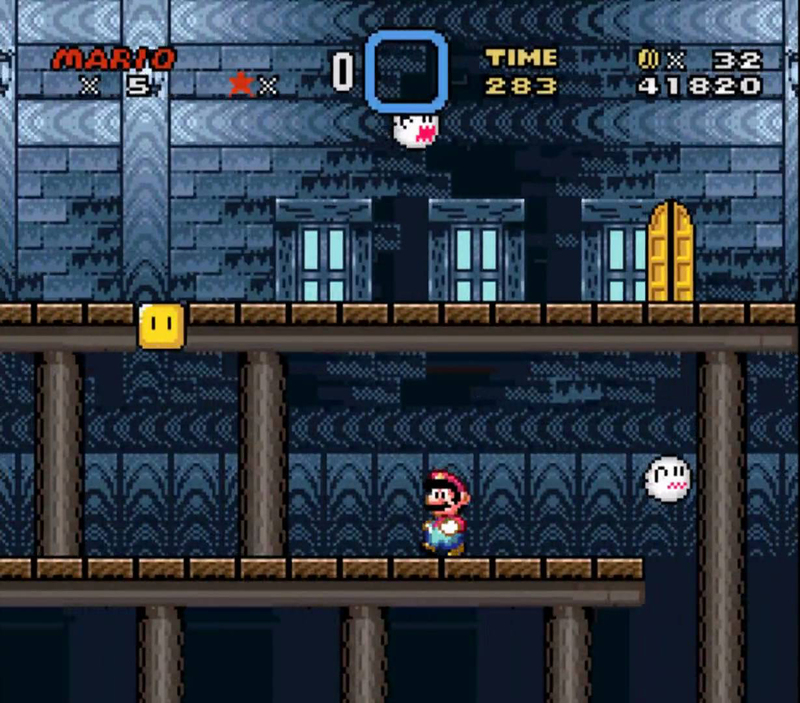 If you recall, Mario in Super Mario World often finds himself traversing haunted houses where he encounters several baddies including Big Boo, a massive ghost that most assumed simply couldn’t be defeated without a cape (and instead, had to simply be avoided). Not so, as fan site Supper Mario Broth (yes, it’s Supper, not Super) recently pointed out. Apparently the big baddie can easily be taken out by simply sliding down a flight of stairs. Who knew?! The technique doesn’t appear to be a glitch or otherwise by accident as killing the baddie adds 200 points to the score tally. The trick also works on buzz saws and those green Big Bubbles as well. Naturally, there are some that claim to have known about this method of dispatching Big Boo the whole time. Given the vast number of people that have no doubt played the game, I’m sure there are some who indeed discovered this years ago but for the rest of us, it's new.